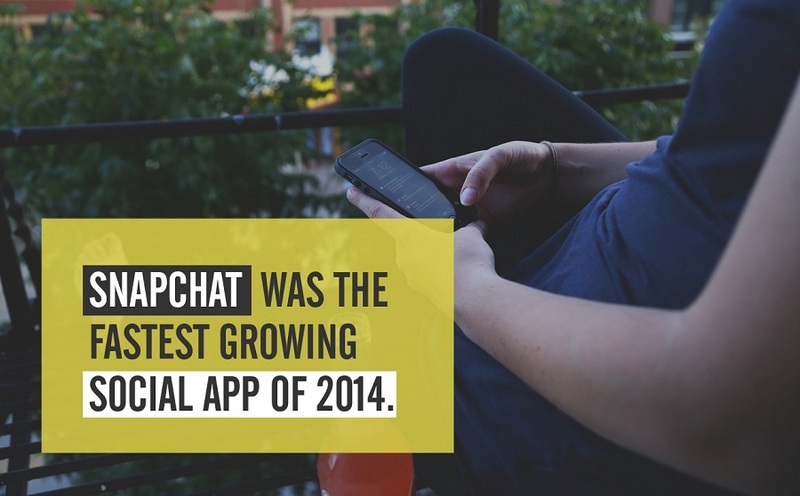 Snapchat was the fastest growing social/messaging app overall in 2014, reveals a new study. 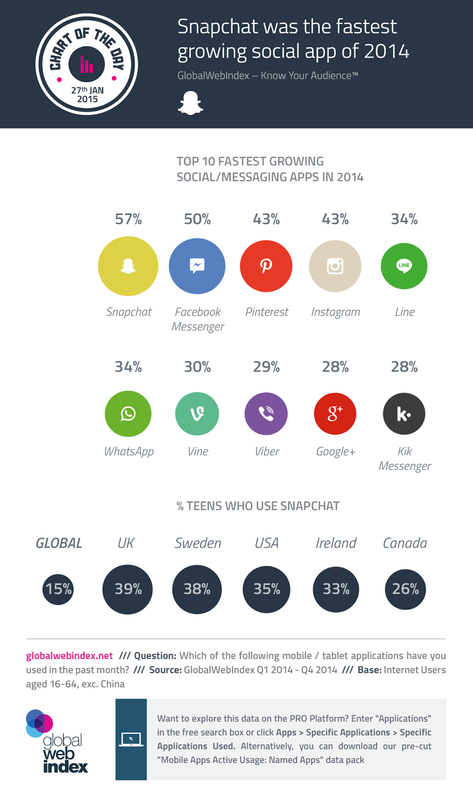 GlobalWebIndex surveyed internet users aged 16-64 worldwide (excluding China) and found that between Q1 and Q4 2014, Snapchat’s audience rose by 57%, being driven by heavy adoption rates among young users in their teens or early twenties. "Snapchat can lay claim to two particularly important titles: it is the app where teens over-index the most strongly of all as well as the one with the fastest rising audience over the last twelve months – up 57% between Q1 and Q4 2014."